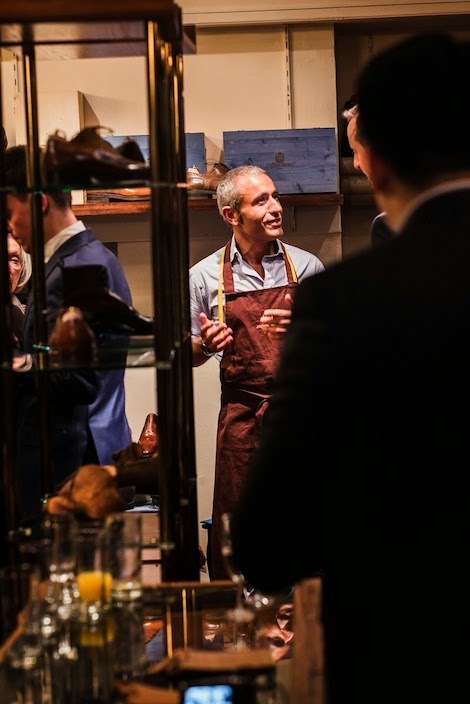 Last night was the official launch of Stefano Bemer shoes at New & Lingwood. 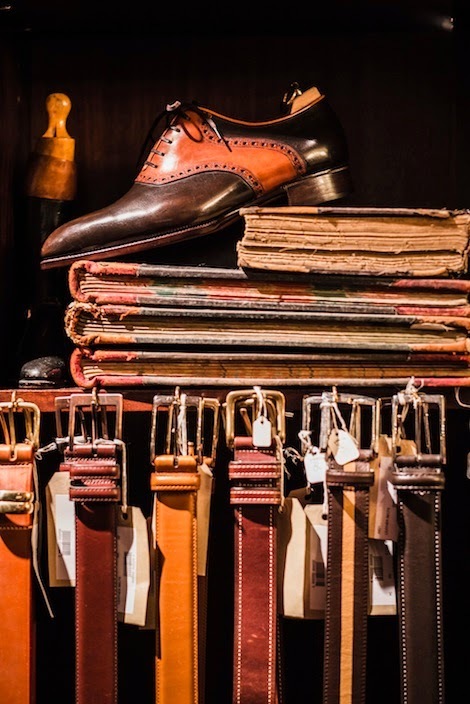 It was an important moment for both companies: the first time Bemer bespoke and RTW shoes have been available in the UK, and the first external brand New & Lingwood has ever stocked. The RTW shoes are all made in the same workshop as Bemer bespoke. This was always the case: they used to be stocked in a shop around the corner from the old workshop, and everything is now housed in the chapel on Via San Niccolo in Florence – the company’s headquarters since it was bought by Scuola del Cuoio last year. 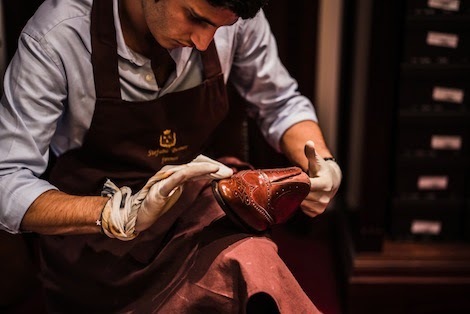 The only difference between the RTW shoes and the bespoke is that the soles are attached by machine (the welt is still sewn by hand) and less work goes into areas such as the waist – which are pretty square. 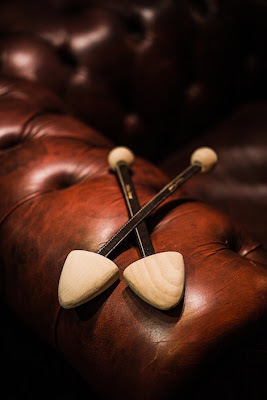 At £1200, they sit in an odd place for shoes in London – between the best benchmade shoes (Green, Lobb) and the bespoke shoemakers. The challenge for Bemer will be to explain to English customers why they should pay so much more for the extra handwork. 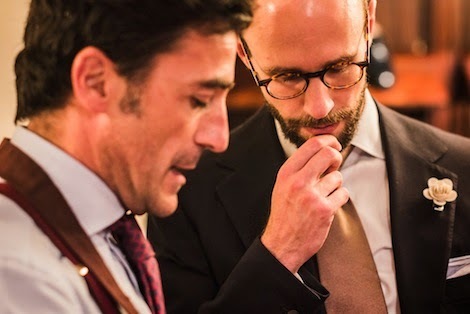 The challenge of managing the product and retaining Stefano’s fanatical eye for quality falls to my old friend Tommaso Capozzoli (pictured top), who was the sales manager while Stefano was alive. Also at the event was CEO Tommaso Melani (below), who was reassuringly passionate in his discussion of Bemer, its principles and its future. The well-known wooden Bemer boxes now come with tops painted cobalt blue, and there are some nice accessories, such as the travel shoe trees below. I also like the fact that several of Stefano’s old quirks have resurfaced, such as the Sciuscià (shoeshine) trolley that he had in the RTW shop. The shoes featured several Bemer trade marks, such as basketball leather and calf uppers with details in shark. And among bespoke was this model below: cordovan with a very narrow Norwegian welt, topped off with a third (purely decorative) line of stitching. 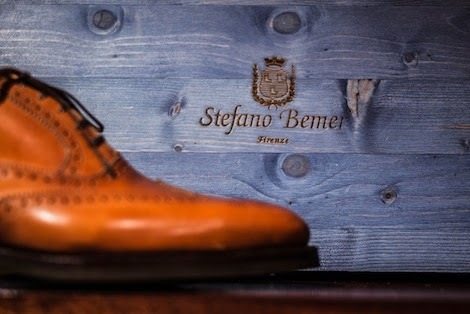 You can follow the discussion on Stefano Bemer shoes launches in London by entering your email address in the box below. You will then receive an email every time a new comment is added. These will also contain a link to a page where you can stop the alerts, and remove all of your related data from the site. what is ‘basketball leather’ simon? 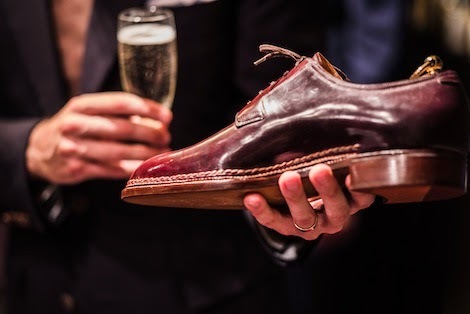 £1350 is a lot for a RTW shoe, I would have thought that those with serious money to splurge on shoes would probably choose to go bespoke .. wonder who the likely customer base is for these, are there many rich guys in London in a serious rush for a pair hand made shoes? Bespoke doesn’t start much south of £3000 these days though, and high-end RTW such as G&G’s Deco or EG’s Top Drawer are the same kind of price, but with no hand stitching. Better finishing, but no handwork. So it’s a question of what you value. That is a very nice outfit you have on. Who made the suit and shirt? Simon, can you recommend a good cobbler in London? I have some Cleverly RTW’s that need resoling. Cleverly themselves want £155 to do it, which seems a bit much. I dont mind paying £180 to have my semi bespoke done with them, but for their benchmade RTW £155 seems a bit steep. Especially since C&J charge £105 for pretty much the same shoe/work. I was toying with the idea of http://www.leathersole.co.uk/ have you ever had any experience with them ? Do you think an independent cobbler could ever be as good as the factory ? 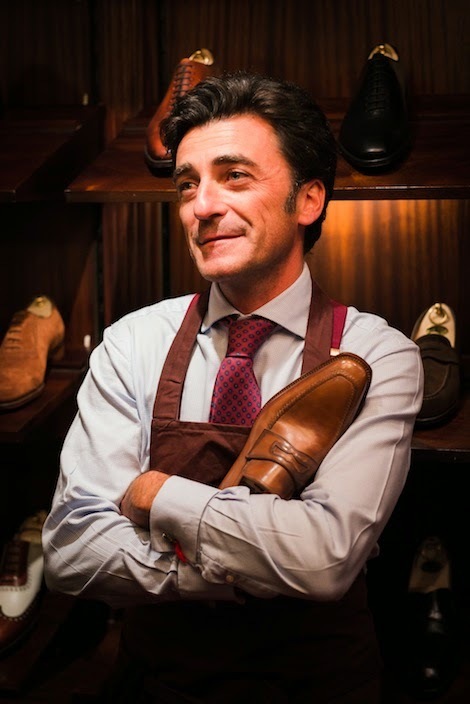 I have had bespoke shoes from five different Italian makers, made to measure from four, visited eight different factories or ateliers and covered every single significant maker as a journalist. Most importantly, the heads of most of those makers are personal friends. All of whom would happily tell me things about the market that no customer would ever learn.